Highlighting the growing ‘coalition of allopathic and homeopathic’ systems of medical treatment, Health Minister Ghulam Nabi Azad said that traditional forms of medicines like homeopathy and ayurveda have gained acceptance worldwide. 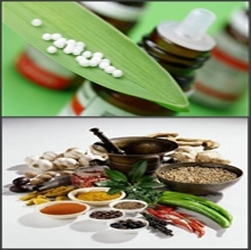 ‘The acceptance of ayurveda, yoga and naturopathy, unani, siddha and homoeopathy (AYUSH), and homeopathy in particular, are accepted in over 100 countries,’ Azad said while launching the book ‘The Banerji Protocols: A New Method of Treatment with Homeopathic Medicines’ . ‘Traditional medicines from India like ayurveda are not confined to the boundaries of India,’ he added. Compiled by homeopathy experts Prasanta Banerji and Pratip Banerji, the ‘The Banerji Protocols’ is a new system of medicine in which specific homeopathic medicines are prescribed for specific diseases. ‘The protocol can be used safely. Medicines are eco-friendly and the treatment is comparatively cost-effective with regard to other medical treatments. ‘The Banerji Protocols’ has been forwarded to the Indian Council of Medical Research for further action,’ said Azad. Azad added that the ‘most important’ step taken by the government was to fuse the two streams ,allopathy and homeopathy , which have ‘different protocols’. ‘Among the most important things is a coalition of allopathy and homeopathic systems. Almost 40 to 50 percent hospitals in the districts have this coalition.’ ‘During the last four years, Rs.553 crore has been provided for mainstreaming of AYUSH,’ he said. Shedding light on the new initiatives under the 12th plan, Azad said quality control centres and drug control centres will be set up to standardise AYUSH. ‘Central drug control for AYUSH for standardisation and five hi-tech quality control centres at the regional level are also being planned. Homeopathic medicines pharmaceutical corporations for providing and manufacturing drugs are also being planned,’ said Azad. Azad said that most health ministers of the world were now willing to collaborate with the India to know more about homoeopathy and ayurveda. He said that the government had taken a decision to co-locate allopathy and other forms of medicines like Ayush in the same hospital where people would be able to exercise their choice of treatment. "It is a useful co-existence of both allopathy and Ayush," the minister said. The Centre had provided a grant-in-aid of Rs 553 crore for development of homoeopathy, he added. "Altogether 11,478 AYUSH doctors and 4,894 AYUSH para-medics have been appointed on contract basis at Primary Health Centres and Community Health Centres under NRHM across the country. It has also implemented various schemes in the eleventh plan for development of all the four core areas of education, research, drug development and healthcare delivery. Homoeopathy has also been benefitted tremendously from these schemes, especially the Schemes on Centre of Excellence, Public Health Initiative and Extra mural research," he said. "There is peaceful co-existence of Allopathy with Ayurveda and Siddha in the country now. All these medical systems are being utilized in the national healthcare delivery system, each to its potential and availability in different parts of the country. Homoeopathy is now well assimilated into the ethos of Indian heritage and is widely accepted by the public for many of their healthcare requirements," he added. Nice post... I have gone through your blog. The information you have given are really informative.